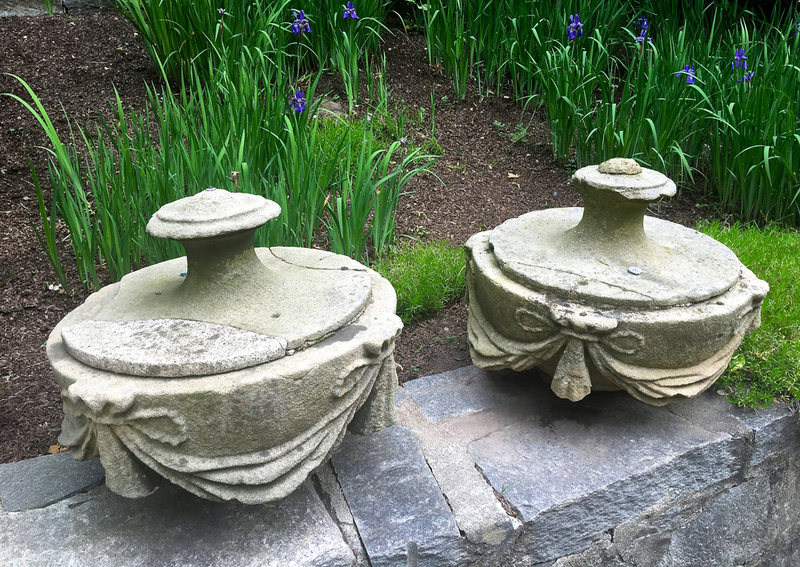 We discovered this large pair of carved stone urn top finials in the far northern reaches of England. Amazing in form and size, their bowed and swagged decoration is subtle and elegant, while their sculptural essence shines. 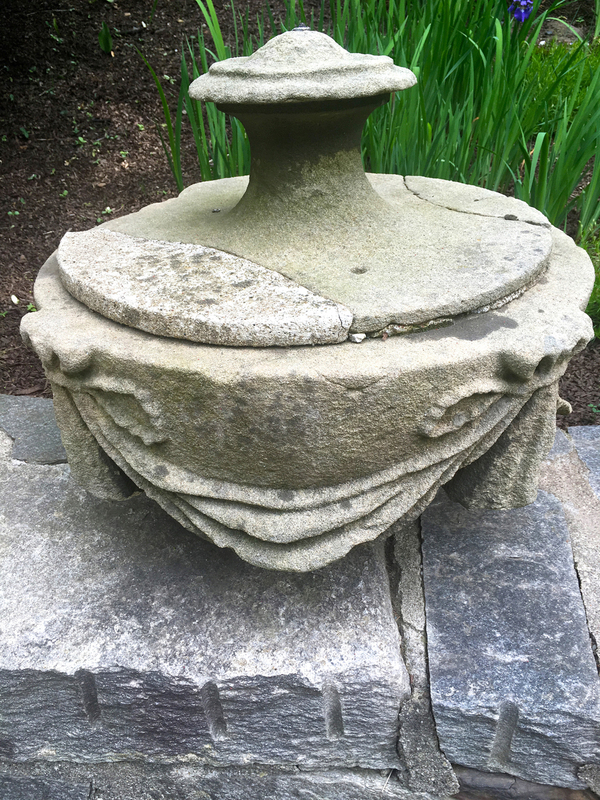 Imagine them raised atop heavy steel poles at differing heights in a contemporary garden or gracing a huge pair of stone pillars. 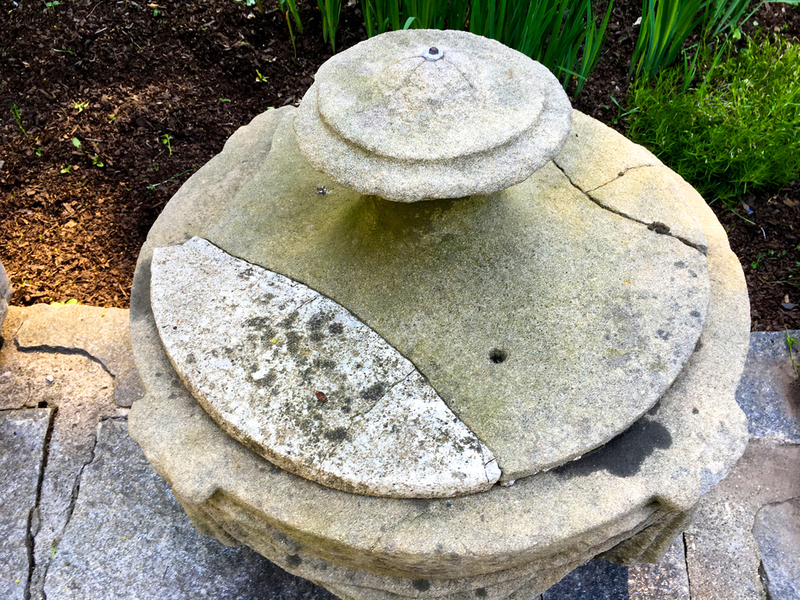 Two old moss-filled cracks and parts of the upper edge surface were repaired with cast stone in the late 18th or early 19th C. The warm, honey-colored surface is appropriately and beautifully weathered with some greening that will turn into moss if they are placed in a shady and moist area. Completely solid and resistant to our Northeastern winters. 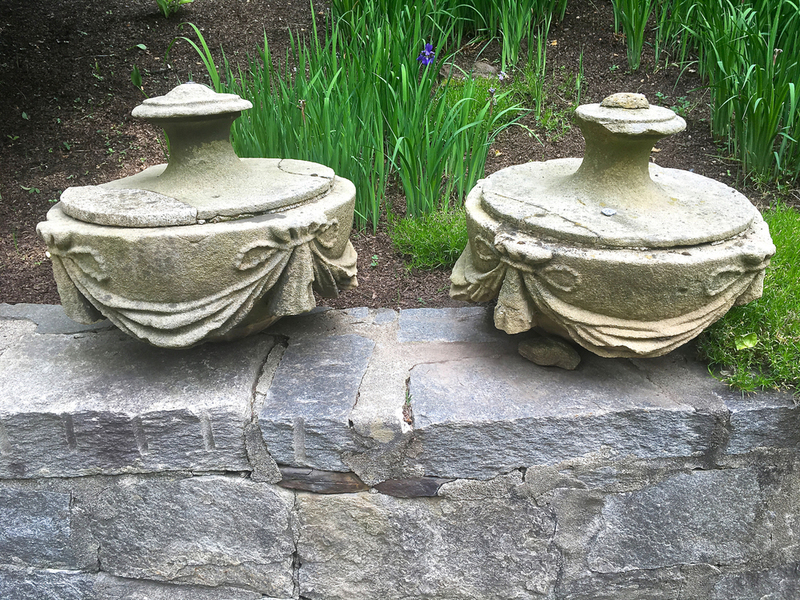 We have drilled the top of our stone wall to accept their iron pintles so they stand upright. Just gorgeous!